Pug dogs are amazing. This adorable, playful and lovable small dog was created to be your best friend! Companionship is their great gift. They love nothing more than to be with their owner. They greet you at the door like you’ve been away for years and there is no one more interesting to them than you. Pug dogs never tire of showing their affection and trying to get their owner’s attention. They love you! They’re happy to be with you! Does this sound like a dog you’d like to own? That’s great because this website is designed to give you a little glimpse into the world of the Pug. We fully admit to being very partial to this breed of dog. But, then, so are a lot of people. Pugs consistently rank in the top 20 of all dog breeds in the United States. The traits of this dog make them extremely popular. Lately, they’ve been hovering between 12th and 14th place in the popularity polls. We would love to see them in the top ten. Actually, Pugs are among the top ten breeds in many U.S. cities from coast to coast. They’re number ten in New York City and Los Angeles and rank number nine in Chicago, Washington D.C., Austin and Milwaukee. Pugs are the seventh in popularity in Boston, Philadelphia, Providence, San Diego, San Francisco and Seattle. They’re sixth in Baltimore but do you know where they rank highest? Portland, Oregon where the Pug is the 4th most popular breed! All of this, by the way is based on the registration statistics provided by the American Kennel Club. 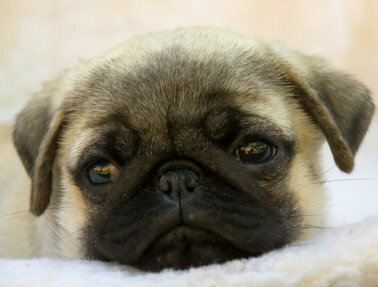 Pug dogs are the largest dog in the Toy Group and their unique facial structure that makes them so cute can also cause them some problems you should be aware of. Pugs are called a brachycephalic breed. The structure of the head makes them have a flat face and it is this structure that can cause some respiratory problems. Reverse Sneezing , for example, is very common in this breed. Fortunately, it is a relatively harmless condition although it can give an owner cause for concern because it can sound rather scary. Health Care for Pug Dogs is a section on this website and we offer some information on veterinarian care and alternative health care as well as a discussion on some health issues including the far too common pudgy Pug. Pugs love to eat. Let’s correct that – Pug really love to eat. It seems this little creature is constantly hungry. We cover a broad range of topics from dog food and nutrition to the proper storage for your Pug’s food as well as the right amount to give your starving little friend. While it’s tempting to keep responding to the Oscar winning performances that take place in your kitchen every day, we also tell you the benefits of having a healthy Pug. We also cover the benefits of training and having a well behaved pet. 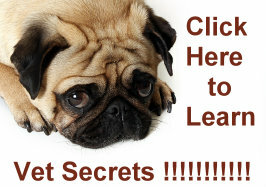 Pug dogs are intelligent and respond very well to commands. While it sounds a little stern to emphasize training, there’s nothing as impressive as a dog who obeys their master and behaves well in all situations. We cover some of the training principles in a section on training and behavior but we cover this under a section called Pug Activities as well. Many owners and Pugs bond during training sessions and some of these sessions can be quite enjoyable. If you’re considering entering your Pug into a show or competition, information on this is an absolute necessity. Step one in creating a Pug worthy of entering a competition is in the behavior department. There are obedience competitions and even dancing competitions for you and your Pug. All of this is covered in our Pug Activities section. There’s even a special section on making your Pug a Canine Good Citizen which an official designation of the American Kennel Club. It’s a first rate program designed for both dog and owner and merits your consideration. There’s a lot to learn about this little dog and hopefully this website will be a good introduction to the world of Pug dogs. If you’re interested in capturing your little friend in some great poses we even have a section on dog photography. If there’s something else that you’d like to see please contact us. We love to hear stories about Pugs and their owners and, if there’s something interesting you have to share, you’ll have a very attentive audience. Pug dogs are popular around the world. Of special note are the Rescue organizations that work diligently to get these cute little dogs out of dangerous situations. We salute the many people who give of their time and resources to make our world a better place for Pugs.